You know when it’s time to clear out clutter and streamline your closets, but what about your body and your mind? Detox seems to be the buzz word these days. It's NOT, however, a solution to weight loss, and there are a lot of sketchy products out there, so beware. There are lots of ways to simple, healthy ways to "cleanse" by changing a few habits for a week, or even a day. 1) Media Cleanse -- consider curtailing (or going cold turkey) from Web surfing, TV watching, newspaper reading, and maybe even emailing. The media has a powerful effect on us and going on a media fast, especially these days, can be a wonderful way to PURGE your mind. Plus, you might be surprised at how you fill that extra time away from Facebook. Perhaps you'll finish knitting that sweater, read a good book, or write an old fashioned letter. 2) Clean Eating- Try a simple detox such as eliminating caffeine, sugar and alcohol and tune in to how you feel. And if you're feeling especially motivated, why not "detox" from processed foods altogether and try eating only whole, natural foods. This is a pure and easy way for physical detoxing, especially considering all the toxins and chemicals we are surrounded by. Plus, this is a safe an healthy approach to cleansing. found at www.marketamerica.com/khrfitness is a seven-day, three-step cleansing and detoxification system designed to optimize your digestive tract health by providing select nutrients and botanicals that cleanse and mildly purge the body of accumulated and potential toxins. It is an excellent cleansing tool that should be used twice a year for optimal digestive, liver and colon health and also promotes peristalsis. 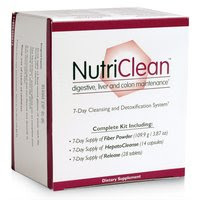 I am using NutriClean for the second time (tried it last January as well after holiday indulging). It's simple, mild and safe. It's inexpensive, you won't be in the bathroom all day and it tastes pretty good! I challenge you to try one of these cleansing approaches for a week (but even a day or two of 1 or 2 will make a difference!) . Don't fall for lots of gimmicks or expensive products. 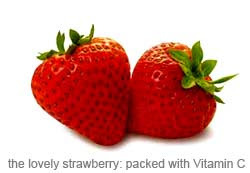 You can feel refreshed and lighter with simple changes. Be sure to post to let me know how it goes OR if you have another detox idea to share! The Annual Think Pink Fundraiser for the Susan G. Komen Foundation went without a hitch on Friday night. A HUGE thank you to EVERYONE who participated and donated, but especially Peggy (below right) & Beth (above center), our hostesses for the event. The results were not only almost $8,000 raised for the cause, but also a profound sense that health is about more than your workout. Of course being in the fitness field, you'll never hear me advising someone against exercise, but I am continually realizing how much being a part of something bigger than yourself is key to optimal health. When we become part of a community and surround ourselves with positive people, we clear away the negativity that exists around us and create more room uplifting energy and magical things to happen. 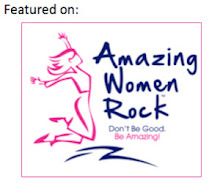 The evening finished with a goose bump performance of "Amazing Grace" by Christine Sinclair. And as I listened, there was no doubt in my mind, that being part of THIS community is TRULY amazing! Holiday hoopla is behind us now and it's back to a full work week. Hope your celebration was glorious. My New Year's Eve was quiet and relaxing - a movie marathon with my husband, Thai takeout, good wine and flannel pj;s! Last night at my prayer group, my friend Lynne mentioned that her family made a list of the top 25 people who most impacted their family (she's got 5 kids!) in 2008....sort of like Time or People's list of most influential people of the year. Now when they see any of these people they are sure to let them know they made the Briody's Top 25 List. I loved the idea and it got my wheels turning about my own list. But first I began reflecting back on 2008. I decided to start with my 2008 Highlights. 1. Finishing all 42 miles of the Five Boro Bike Tour and still being able to walk the next day. 2. Attending Tres Jazz in New Orleans with my mom and Jazzer-pals & the honor of teaching in the East Coast class. 3. Ten glorious days in Aruba with my hubby. 4. Finally resolving the floor issues at the Center and happily dancing on (and loving) our third floor. 5. The Jersey shore with my family and the first overnight babysitting adventure with Landon. 6. Coming out of surgery and seeing my husband waiting. 7. The honor of being one of the entrepreneurs featured in the new book "Sixteen Weeks to Your Dream Business." 9. A beautiful summer day and group of cool women for our Staff Outing - Accomplice in NYC. 10. Strengthening my faith during not only the "highlight" times, but the tough ones too. Here's to a year of BOLD OPTIMISM!